By popular demand Clinark – ‘The Reggae Torch,’ has just released a live debut album, entitled. ‘Clinark live in Holland with Poor Man Friend Band.’ recorded. Bermudian singer, writer, producer Clinark is re-igniting the reggae torch as an international artist. Currently he is promoting this surprising new release. Promo CD’s of Clinark’s recent Holland tour are available by request from email : Press@nurtureprojects.com. Clinark has taken a brave step as an Independent and has created his own record label , distribution & publishing house under Nurture Projects. Read Clinark’s biog on http://www.clinark.com/aboutus_177130.html . He also has shop and online store, www.rivierarootswear.com. 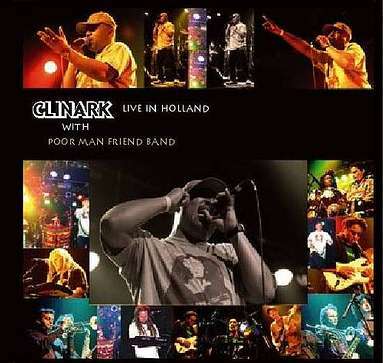 The ‘Clinark Live in Holland ‘ CD is available world wide from December 2006 from :Online shops : www.rivierarootswear.com. & www.ebreggae.com. Bermuda Stockist will be : Music World , Dub City , Sound Stage and Music Box.